Mock Trial is a simulation of an original criminal court case with high school students playing the courtroom roles. Teams of high school students will present the case in the courtrooms of the Fresno County Courthouse before presiding judges and attorneys who evaluate each team’s performance. Each team is guaranteed four rounds, two as the prosecution and two as the defense. The top four teams advance to the semi-finals. 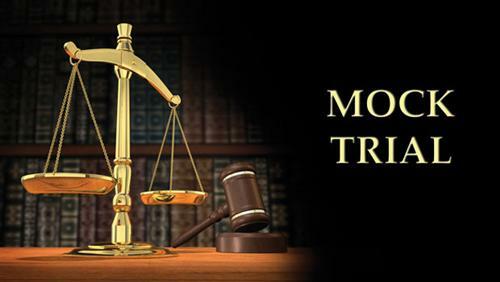 As a member of the Mock Trial team you would research the case presented as an attorney, a witness, the time clerk, bailiff, courtroom artist or courtroom journalist. Each role is vital to the team and requires dedication. Mock Trial is a great way to improve your public speaking skills and analytical thinking. Practices start at the end of September and will be held in the afternoon or evening two days a week. Scrimmages (practice rounds) usually start in late November or early December and will be in the evenings and on weekends. Once the team is established it is imperative that you are able to attend all practices and scrimmages as you are irreplaceable.